The Intersections & Beyond: Paolo Onesa releases debut album "Pop Goes Standards"
Paolo Onesa releases debut album "Pop Goes Standards"
Finalist of The Voice of the Philippines (Season 1) and the ultimate heartthrob crooner Paolo Onesa is now a certified recording artist as he releases his debut album Pop Goes Standards. He crooned his way through his performances at The Voice of the Philippines and he has proven to be a singer to watch out for in this generation. Pop Goes Standards also includes two original songs “Lucky In Love” and “Which Way Robert Frost?” written by American composers Roxanne Seeman, Daniel Nitt and Philipp Steinke. “These are the songs that I fell in love with the moment I listen to and recorded it and I’m sure listeners will also fall in love to. I injected my brand of crooning to these songs and I hope people will like it,” Paolo said. Paolo Onesa - "Love On Top"
During his stint at The Voice of the Philippines, he was with the team Bamboo Mañalac, rock iconic artist, where he discovered his niche as a crooner. “Coach Bamboo guided me to the path which led me to my genre right now by singing standards. Good thing, I grew up listening it through my father,” Paolo said. Paolo can also be seen twice a month at ASAP 19, ABS-CBN’s Sunday variety show. 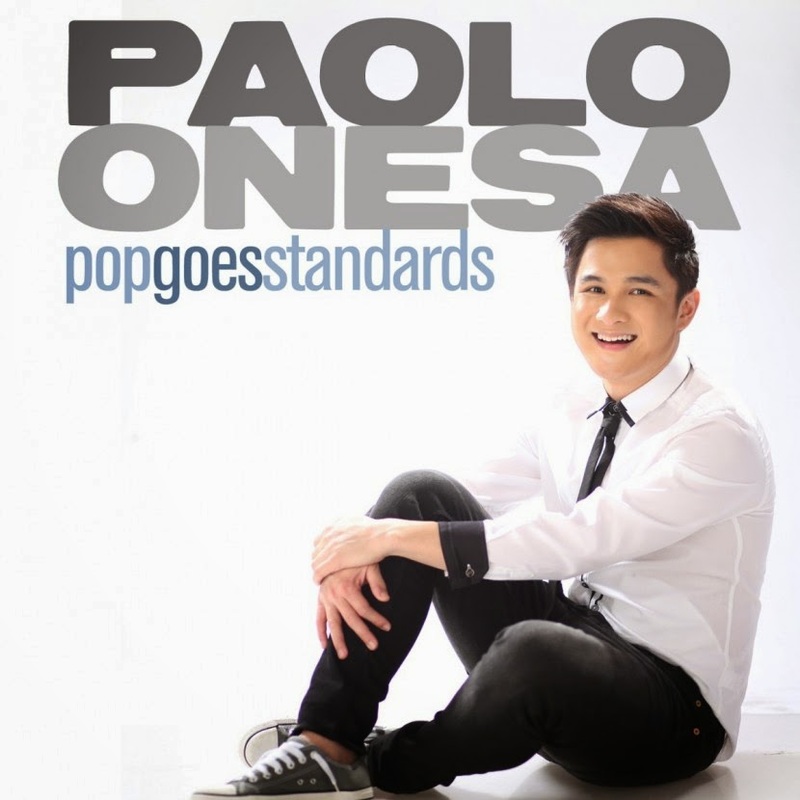 Pop Goes Standards, the debut album by Paolo Onesa, is now out in CDs under MCA Music and through digital downloads via spinnr.ph and iTunes. For bookings and inquiries, contact Sammy Samaniego of MCA Music Artist Management at +632 9162504 local 107, +639178565174 and +639209682991. Catch Paolo Onesa at the following dates and venues: April 12 (Saturday) at SM Calamba, Laguna; April 27 (Sunday) at SM Lipa, Batangas and May 16 (Friday) at Robinsons Malolos, Bulacan. The album is also presented in cooperation with Onesimus Suits and Barongs, Businessworld, Herword.com and Pinoy Magazine. The Bloggers’ Conference with Paolo Onesa is brought to you by MCA Music, Pinoy Magazine, and LionHearTV.